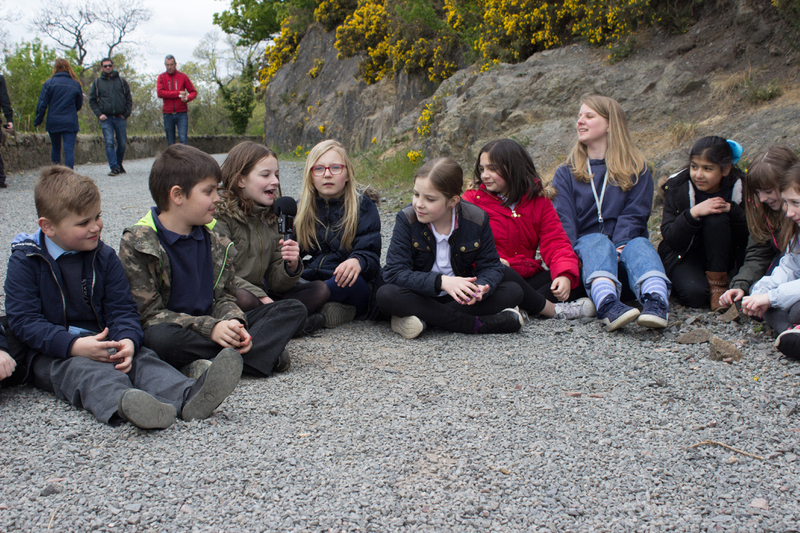 Catherine Payton worked with children from Abbeyhill and Leith Walk Primary Schools to produce a new Observers’ Walk, which launched in August 2018. Through a series of ongoing workshops, Catherine and the children used story telling to explore Calton Hill and the City Observatory, as a way to consider its layered and complex histories. Starting in April 2017, classes were led by Catherine on walks around the hill, looking at features of the landscape beyond the dominant monuments – like the National Monument – that occupy the hill including fauna and rabbit holes. The walks and subsequent classroom workshops, involving listening exercises, storytelling and clay model making, form part of a period of research and development leading towards the production of the new Observers’ Walk with the school children. Catherine Payton is an artist based in Edinburgh. Previous selected exhibitions include: Waiting for the main event, Supercolider, Blackpool, 2013; Three-fold, Generator Projects, Dundee, 2013; We are all U.F.O.-nauts, Rhubaba, Edinburgh, 2012; Wonders of the Invisible World, NGCA, Sunderland, 2011 and Destiny: Pilot Episode, part of New Work Scotland Programme, Collective, Edinburgh, 2010. Catherine was Tourist-in-Residence alongside Tom Nolan for Edinburgh Art Festival, 2013, forming part of an ongoing collaboration as Edinburgh Psycho-Geography Association. She also co-founded Rhubaba Gallery & Studios in 2009 and the Rhubaba Choir in 2013. Workshop with Catherine Payton and pupils from Abbeyhill Primary School, April 2017. Workshop with Catherine Payton and pupils from Leith Walk Primary School, May 2017.